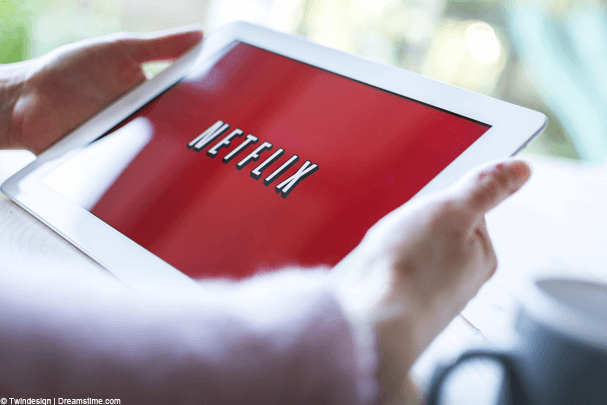 Netflix was making plenty of headlines this time last year after adopting a deliberately hostile stance again VPN users in an effort to appease the copyright holders whose products their service depends on. One year on, and legislation about to be finalised in the EU Parliament looks set to make effort to stop VPN users from accessing their service null and void. Because under the new rules, content providers will be prevented from using an IP address to identify where people are. It is worth explaining briefly where the Netflix efforts to ban VPN users originated. As an online streaming service, Netflix has to buy the copyright to the TV shows and movies available on the site. As this copyright is sold on a country-by-country basis, Netflix is required to offer a different service to each country depending on the rights it holds for that country. Traditionally, whilst offering a separate service in different countries, Netflix has turned a blind eye to people who use a VPN to access services in other locations. With the US version of Netflix offering significantly more content at a lower price, this one has been particularly popular with users around the world. But all that changed at the beginning of 2016. It was then that Netflix announced their global expansion, making the service available in every country in the world (with the exception of China, North Korea, Syria, and the Ukrainian province of Crimea which is currently under Russian occupation). At the same time as this expansion, Netflix made a number of public proclamations that they hoped in the long term to be able to offer a single service to their entire global customer base; in other words, a complete global streaming service. If this long-term business model was to be effective, they needed to win the support of copyright holders, and their main issue with Netflix was its failure to protect copyright by not tackling VPN users who subscribed to services in other countries. So, Netflix attempted to crack down on VPN users. They announced that VPNs would be blocked from using Netflix and slowly but surely began identifying the IP Addresses of VPNs and blocking them from the site. This created a lot of negativity from customers, not least as the majority were using a VPN for legitimate security and privacy reasons rather than to evade Netflix’s geo-blocking technology. But, despite that fact that Netflix themselves had, in the past, recommended users log on via a VPN, Netflix held their ground. This began a cat-and-mouse game between Netflix and the various VPN providers, which continues to this day. Netflix attempts to identify VPN IP Addresses and block them, while VPNs sidestep by changing IP addresses or using other technologies to evade the block. This looked set to be how things would remain into 2017, but now the EU appears to be set to break the impasse. As a single market, the EU frequently legislates to stop companies from anything other than a single service to all EU citizens. And they have now turned to online media. According to a report on the Independent website, the EU has concluded that more than half of their citizens access music, TV, films, and other media online and they want them to be able to do this regardless of where in the EU they are. This will mean that Netflix, and other services such as the BBC iPlayer, will be unable to identify a user’s IP address and use it as a basis to block access to a service. The proposals are still at an early stage, and must still be approved by the EU’s Legal Affairs Committee, the European Parliament, and the European Council. So, there is much bureaucracy still to be overcome. But the EU does have a strong track record on issues of this kind, and it does look increasingly likely that, for EU users at least, it might be the beginning of the end for Netflix’s efforts to block VPN users, and overseas users, from accessing their service.